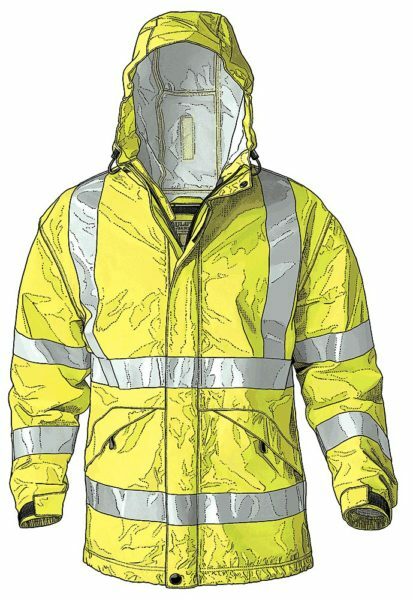 Lots of “work clothes” are really just everyday clothes, but this jacket is the real, high-visibility deal: an American National Standards Institute (ANSI) class 3 hi-viz raincoat. I put here because it’s yellow and attention-getting. Digital.